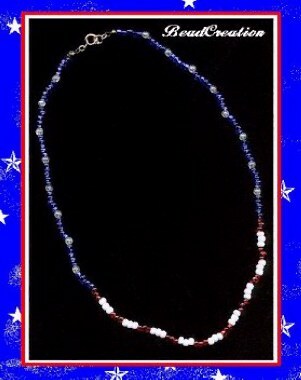 Celebrate your patriotism with this short glass beaded necklace. Inspired by the flag a beautiful Red, White, and Blue combination. 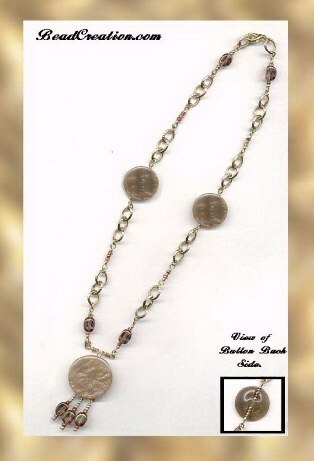 This cute little necklace has been created from chain, glass beads, and most importantly gold/beige buttons that have a hint of pink hidden in the reflective abalone like quality. Perfect with that neutral pant suit, suede boots or skirt, or a dressy casual outfit.